The program will be available again in February. Please return then to view the updated application for the upcoming academic year! If you are an applicant who would like to discover more scholarship opportunities you might qualify for, please continue to the Scholarship America Hub and sign up! 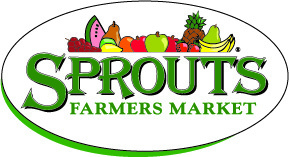 Sprouts Farmers Market, LLC has established a scholarship program to assist employees and employees’ children who plan to continue their education in college or vocational school programs. Scholarships are offered each year for study at an accredited institution of the student’s choice. Full or part-time employees of Sprouts Farmers Market who have a minimum of one year of employment with the company as of the application deadline date and who have worked an average of at least 15 hours per week over the past 12 months. Dependent* children, age 24 and under, of full or part-time Sprouts Farmers Market employees who have a minimum of one year of employment with the company as of the application deadline date and who have worked an average of at least 15 hours per week over the past 12 months. Applicants must be high school seniors or graduates who plan to enroll or students who are already enrolled in full-time or part-time** undergraduate study at an accredited two-year or four-year college or university or a vocational-technical school. **Part-time enrollment includes graduation after fall semester. Applicants must have a minimum grade point average of 2.5 on a 4.0 scale (or its equivalent). The authorized distribution for new awards is $150,000. Up to 75 awards of $2,000 each will be granted. Provided there are qualified applicants, sixty (60) awards will be for employees and fifteen (15) awards for dependents. Unused awards may be used for the other group. Financial need will be considered. Recipients will be selected from a pool of qualified applicants with consideration given to those who demonstrate the greatest need. Selection of recipients is made by Scholarship America. In no instance does any officer or employee of Sprouts Farmers Market, LLC play a part in the selection. All applicants agree to accept the decision as final. Applicants will be notified in late May. Not all applicants to the program will be selected as recipients. Scholarship America processes scholarship payments on behalf of Sprouts Farmers Market, LLC. Awards will be paid in one installment in early August. Optional: Supplemental Financial Data Form, if applicable. This form is needed only if parents cannot submit data jointly on the electronic application. The parent who is NOT the employee of Sprouts Farmers Market employee should complete this supplemental form. Sprouts Farmers Market, LLC has partnered with Scholarship America. Selecting the button below will redirect you to the Scholarship America Student Hub!